Technically I started my blog last fall, but it was in January that I decided that I wanted to focus on blogging regularly and try to grow my blog. 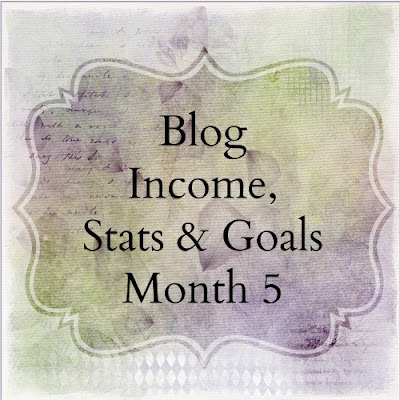 So I am counting May as my 5th month blogging. As a new blogger, I have searched, studied, and read tips from experienced bloggers and new bloggers alike. One thing I love about the blogging community is that people are willing to help others out, it's a great supportive community to belong to. One of the posts I like to read on other blogs are the monthly blogging updates people post on how their blog did, what changes they made, and what goals they have for the month. I have gotten some great tips as I have read those posts. I started keeping a monthly spreadsheet to track my numbers, increases, decreases, what I want to focus on, what has worked, what hasn't worked, and what my goals are for the month. I decided that there were probably other bloggers out there that might get some tips from my notes, so here's my monthly blogging update. I am planning on doing this every month. It's a great place to write out my goals....I'm much more likely to stick to them if I actually write them down. Wow! My page views jumped a lot during the month of May. The other numbers were a slow climb like I've had each month since I started. So what did I do differently during the month of May to draw a larger number of people to my blog? Well there are a few reasons. 1) Content was my main change for the month. In my previous months, most of my posts had about the same amount of views with one that stands out with a significant number more. For May, I had 6 posts that had over 175 views (I know that isn't a lot of views, but as a small blog that is growing it was quite a leap). 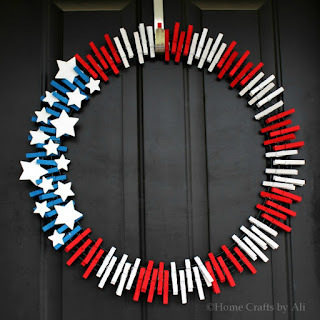 My most popular post for May was my Patriotic Wreath tutorial with 302 views and I found it pinned on 127 different Pinterest boards. That is saying a lot considering it was only on my blog for 3 days before the end of May. My second & third most viewed and shared posts actually tied - Summer Reading Programs and Summer Fun List. What those three posts showed me was that people gravitate toward what seasonal/holiday themes. 2) Link Parties was another thing I focused on last month. I follow quite a few blogs that have link parties and I started consistently posting to them. When you do that, it increases your visits each month in a few different ways. First, the hosts of the party comment on your blog and most of them generally pin your post to the party Pinterest board. Second, most of the parties have a rule that you need to visit and comment on or pin 2-3 of the other link-ups. If your picture and title is good, it will get more comments and visits. Third, if your post is the most visited the host will feature you on the next weeks link party. For the month of May, I was featured on 2 of the link parties I submitted my link to. So not only did I have an increase in visits when I linked up to the party, but I had an increase the next week too when the host spotlighted me. 3) Pinterest referrals grew in May for me as well. I had quite a few pins that were popular and people re-pinned, and also new people visited from Pinterest. Part of that had to do with joining a few group boards, some were referrals from the link party boards, some was from my increase in pinning, and part of it was from my planning of pictures for the blog that would be more attractive to Pinterest. That took some studying other blogs and I have quite a bit of the information pinned to my Blogging board on Pinterest. 4) The giveaway I joined up with for Mother's Day increased people coming to my blog and following on Twitter. The thing about giveaways is that usually a percentage of them drop off with visits or unfollow after the giveaway is over. Some of the people still visit and comment on my page though, so it's definitely not a total waste. I think doing a large giveaway every month wouldn't be cost worthy to me, but it has helped new people find me so I figure every once in a while is an okay idea. 5) Support from other bloggers has helped me grow each month. I was consistently active in 3 different blogging groups on Facebook where I asked people to boost my post by either commenting, sharing on Pinterest, re-tweeting some of my posts, or re-pinning some of my pins. Quite a few of those people have started following my blog or Facebook page. They comment on my posts (even when I don't ask) and share my content (again without being asked). I do the same with some of the blogs that I really like. I visit them and comment because I genuinely like what they write about, not because I'm hoping that they do the same for me. When I share links to recipes, articles, videos or crafts on my Facebook page, it is because I like it and because I think my readers will like it as well. A friend that is a blogger has shared my page with her Facebook followers and that has increased the likes of my page. I'm still trying to figure out the mystery of getting my posts in front of people that like my Facebook page, but that is a whole other topic. IZEA - $2.50 for my first ad posted on Twitter! That isn't too bad! I won't have the expenses of the giveaway every month, but I also don't have a guarantee of getting free products either. So we will have to see how it goes. spend time with my family during the summer! So there's my wrap up for May and goals for June. I have to tell you that I have worked on a few of my goals already and have seen a significant increase in traffic and ad income! I can't wait to share the full report for the month of June! This is awesome. The growth is your page views are amazing!!! I can't wait to see how your numbers grow even more this next month! Great post! I too started concentrating on my blog since January so I'm right there with you. I think I'll follow your lead and start tracking everything month to month to help out people out and to share my failures & successes. I was thinking of actually starting a group on my blog of different bloggers who want to guest post for one another, giving us exposure on different blogs, with different readers. Finding guest spots is hard since there are a lot of bloggers who only want people to guest post who already have a big following but what do you do when you are new, starting out? If you are interested in this, please come visit me on my blog so you'll be able to watch out for my post asking for people who are interested in it. I'm trying to find or think of ways to not only help me but help my fellow bloggers. Sarah-Ann, I would love to follow along on your blogging journey as well. Since we pretty much started around the same time it would be nice to see what works for you and watch your progress. I think it helps people out a lot to see that there are other people in their same situation. I'll definitely check your site for guest post information. 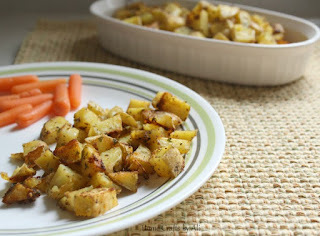 I did one guest post on another blog and my project got pinned quite a few times. It was beneficial for me to be seen on a blog that has thousands of followers, and it was beneficial to her because she was going out of town and didn't want a stagnant blog for a week. Thanks Amberly! It's pretty exciting for me. This is great Ali! I have not kept up with my blogging diaries and goals. I think my goal right now is to survive summer. I would love to hear how you have grown your social media. My Pinterest grew a lot in two months...like a 100% (of course I started with a very low number) and has a trickle of growth now. I am getting what I consider an amazing amount of registered users to my blog, but not a lot of interaction for social media growth. I so need to be tracking everything! I have not even come close to making any money yet. I have google and sovrn ads. I am thinking about looking into sponsored posts. Looking forward at doing the blog swap. Surviving summer is a good goal! =) For me, I have very low registered users (a few follow on Feedly too and get my newsletter) but I have a bit more on social media. A lot of my social media growth is from interacting with other bloggers, they share my page or an article and their followers start to follow me. Also, on Twitter people usually do a "follow for follow". It's like that on Instagram too quite a bit. I'm looking forward to our blog swap too! Loved seeing how you tracked all of this so you have hard numbers to look at and see your success. Always a nice thing to double! I had a post that was popular with a facebook group in early May and then I got this inkling to take my blog more seriously.... even though I have had this blog for 4 years I have paid more attention to it over the last month than I had in all of the 4 years prior. So that means I jumped my page views by 10 fold. 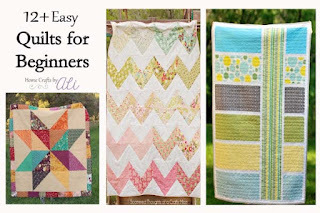 I think co hosting a linky party is a great idea, I'm going to do the same thing! I want to keep focused on the link parties because I have found some really good content to pin which is building my engagement too. I'd signed up for affiliates before but never took the time to add them to my blog. It hasn't been a full month yet so I don't know if I've made any money yet. Have you attended any small blogger conferences? That is a great way to learn too! I wish you continued success for your efforts! It's amazing the effort you want to put into a blog once you can see that there are people out there! I'm cutting back a bit this summer to spend time with my children, but I'm still planning on 3 good posts per week, continued participation in link parties and my Facebook groups, as well as other social media platforms too. I haven't worked too much with the affiliates. Just the past few days I've been trying to increase that, but so far I haven't seen any difference. I'm co-hosting the link party all summer and I have had quite a few new people follow me on Pinterest and Twitter. People are so hesitant to follow on Facebook for some reason. I think when the summer is over and I'm done with co-hosting, I may want to start my own link party. 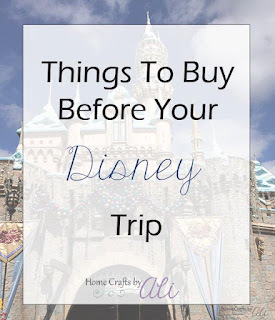 I like seeing all the links from different bloggers and I have had the same success on Pinterest that you mentioned. I started blogging after the 2 local blogging conferences, but I'm saving up to attend one early next year. I would love to have a few days to just sit and learn!! Have you attended any?? Thank you for your kind words and encouragement Joann. Could you leave a link to your blog so I can visit? Terrific growth in your page views. It is always best to write down your goals and what a great way to do so in a post. It is helpful as a reader to see what others are thinking and goals may be. I just participated in a giveaway that only charges $2.50 per link. I am tryin to increase my Instagram and Blog Lovin following (newer accounts). Giveaway Booster has a flash giveaway every weekend and sign ups start on Wednesdays. I thought you might be interested. I gained over 100 followers on each account in one weekend. For only $6! Good luck as you venture on into the blogosphere. Thanks for stopping by Michelle. That is a great increase in followers in one weekend! I'll have to look into Giveaway Booster. Thanks for the tip! Thanks for commenting Dana. I bet that is frustrating for you. I sometimes feel like I'm working 60+ hours per week at blogging and there doesn't seem to be much monetary compensation...but I do love to see the comments on my post or when something I have shared gets pinned. I don't think that non-bloggers understand how nice the comments are. Good luck on your blogging journey Dana.